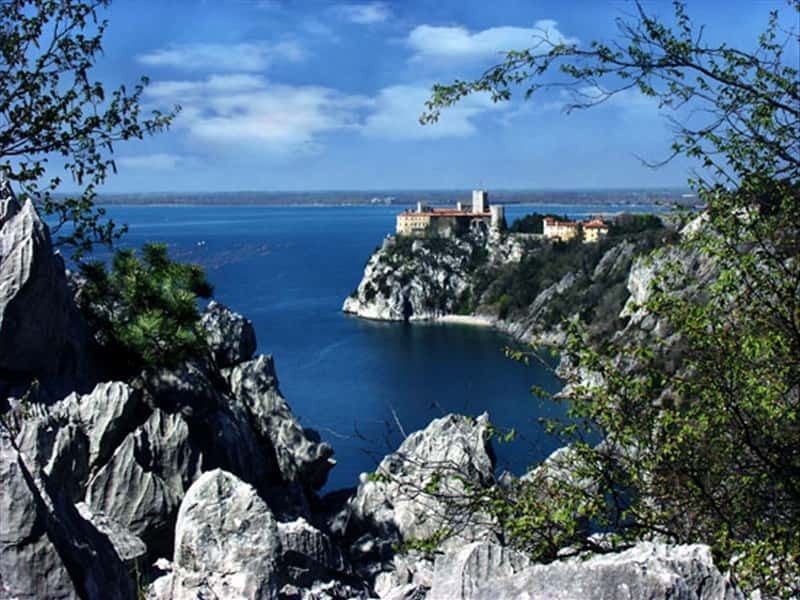 A municipality scattered over the province of Trieste, composed of several districts, including Duino, a beach resort situated on a rocky outcrop and dominated by a castle. The territories include part of the Carso, the Colle of Ternova and the Golfo of Panzano. Located in a heterogeneous environment: the inland is characterized by caves and dolines, while the coast features a typical Mediterranean climate and vegetation. and subsequently that of Gradisca. - the stone quarries of Aurisina. - the Palaeontological site of Villaggio del Pescatore, where the biggest and most complete fossil of Italian dinosaur has been discovered. This town web page has been visited 64,474 times.